AN-LAN-EXT-HUB16 16-Channel Ethernet Extender Hub is a Multi-Channel Ethernet Extender Hub. It simultaneously receives multiple network signals, supports both a point-to-point and point to multi-point. It is used to transmit data network signal over any pair of 2-wire such as twisted pair, Cat5, coaxial cable and power line, etc. The max distance reach 1,000 meters. Max physical bandwidth can reach 500Mbps. When you use AN-LAN-EXT-HUB16, please follow the below tips as a reference, in order to reduce the fault in the process of using and the inspection work. AN-LAN-EXT-HUB16 can be connected with single channel Ethernet Extender, The device supports auto-negotiation allocate master and slave. It also can be set master-slave side and grouped by software. Each group (one point to multi-point communications group) only allows one Master, others are Slaves. Otherwise, the network data won’t be able to transmit. Master suggests to be installed in Local side, AN-LAN-EXT-HUB16 suggests to be installed in Local. Coaxial cable, twisted-pair cable, telephone line and power line all can be used to transmit network data signal in projects. 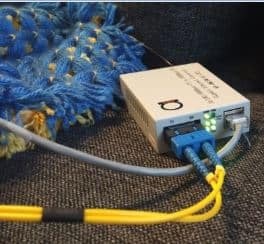 A variety of cables arbitrary mixed connection also can reduce the quality of signal. Please choose matching power supply (220VAC). 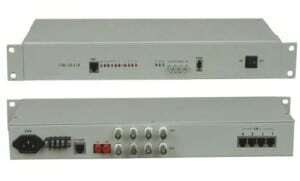 This product can be widely used for network extension system, network security system, network information publishing system, network renovation and expansion systems, elevator, railway, urban traffic, mining and telecommunication, etc.